Rainbow Six Siege’s previously announced Lion and Capitao operator reworks are set to go live on the test servers today. Although players got to try out the Capitao rework firsthand during the Burnt Horizon test servers, the Lion rework was held off until season two. During the testing phase, players found the Capitao rework to be unbalanced, and so Ubisoft choose not to launch it with Burnt Horizon. Today’s update to the test server brings both reworks to life, albeit with numerous tweaks. 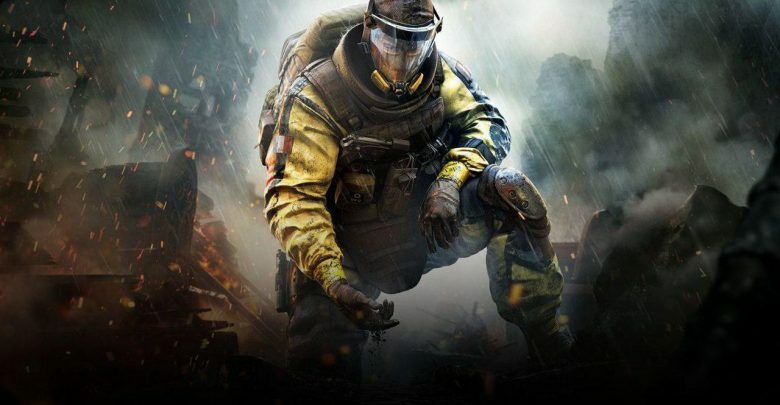 Released in operation Chimera, Lion very quickly earned a reputation as the most overpowered operator. After over a year of waiting, Ubisoft is finally sharing the first iteration of the operator’s rework. The EE-ONE-D drone has had its warning indicator reduced from 3 to 1.5 seconds and the scanning duration reduced from 4 to 2 seconds. The ability no longer places a red outline around moving defenders, and instead places continuous red pings. The new tag effect resembles the pings placed on attackers by Alibi’s Prisma devices. Furthermore, the number of charges have been increased from 2 to 3, and the ability now has a reduced cooldown. Another interesting new addition is that Vigil is able to use his ERC-7 cloak to render himself immune to Lion’s ability. “With this change, moving during a scan is now more of a viable option, giving defenders a means of to successfully counter-play Lion’s detections,” writes Ubisoft. Capitao is arguably one of Rainbow Six Siege’s most neglected operators. After three years of staying in the sidelines, the operator’s gadget, specifically the asphyxiating bolt, is being reworked. The reworked asphyxiating bolts deal only 12 damage per tick (down from 19) and are affected by gravity after 10 meters. Moreover, the arrow’s area of effect has been increased, but it takes 2 seconds to reach its maximum size. It’s interesting that Ubisoft would nerf a gadget instead of fixing the exploits related to it. Both reworks will be deployed alongside the new friendly fire mechanic on the Rainbow Six Siege test servers today. For more information on the upcoming update, check out the official patch notes.